A lot of outdoor enthusiasts and mountaineers want to reach the summit of Mt. Ulap. The mountain's peak rises 1846 meters above sea level which features pine and grassland ridges with stunning views of nearby mountains. Mt. Ulap is one of the famous hiking destinations in Benguet. It is specifically located in Itogon Benguet Cordillera Region. The jump off point or entry point can be found in Brgy. Ampucao. Everyone needs to register and pay the necessary fee. Guide is required. Most of their guides are resident of Brgy. Ampucao which some of them are students. The fee will definitely help a lot your guide. If you always attend the Philippine International Pyromusical Competition, prepare yourself for this year competition. 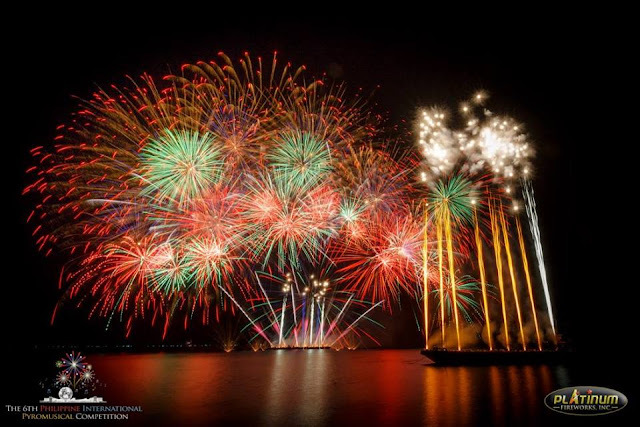 The 7th Philippine International Pyromusical Competition 2016 will be held every Saturday starting February 13, 2016 to March 19, 2016 at the Seaside Boulevard at SM Mall of Asia, Pasay City. Competing countries that will the competition include include the Australia, USA, Canada, China, Germany, Portugal, Italy, The Netherlands, France and United Kingdom. 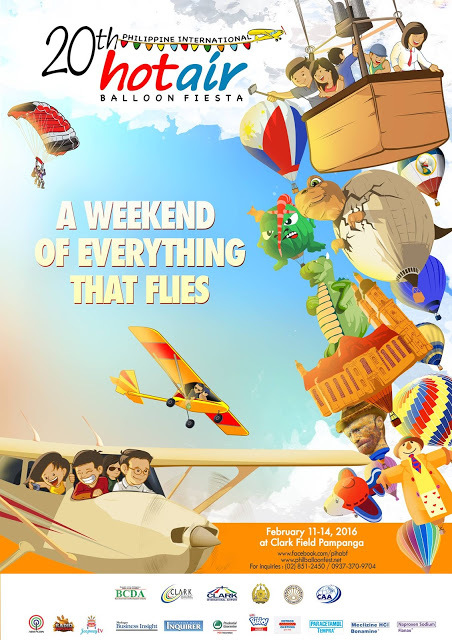 For those who want to witness flying hot air balloons in different forms, colors and sizes, you must to visit Pampanga on February 11-14 and join the 20th Philippine International Hot Air Balloon Fiesta. The event will be held in in Clark, Pampanga, featuring hot air balloon, kite flying aerobatics, skydiving, paragliding, remote control aircraft, kite flying and other exciting outdoor activities. 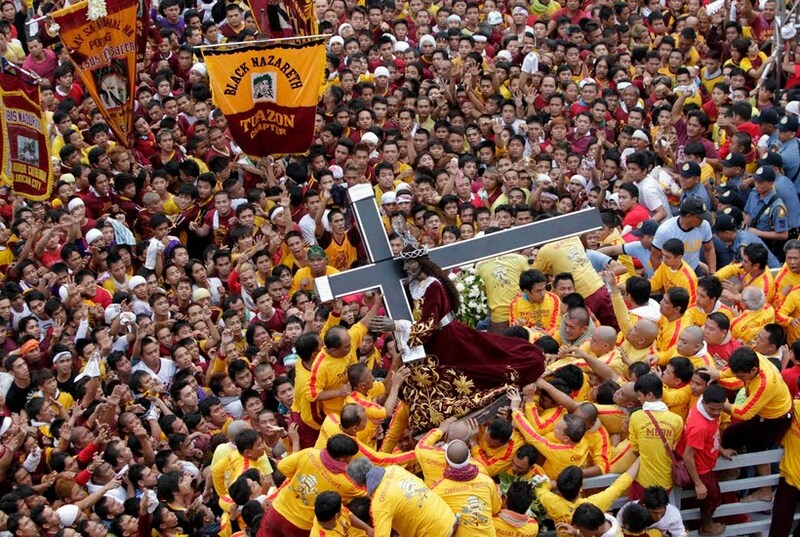 Are you one of the millions devotees of Black Nazarene? For sure you're one of the devotees who are waiting the month of January to join the procession of the Black Nazarene to commemorate the Translacion" in Quiapo Church. Millions of devotees that showed their great devotion to the Nuestro Padre Jesús Nazareno. Some of them wants to hold the rope and touch the miraculous image. The Feast Black Nazarene or Pista ng Itim na Nazareno also known as Pista ng Quiapo is held every 9th of January. It's annual event in the Philippines, where millions of devotees joined the “Traslacion” or the transfer of the image of Nuestro Padre Jesús Nazareno from Luneta Grandstand to its shrine in Quiapo Church, Manila. It's considered the most attended fiesta in Metro Manila. As we welcome the year 2016, it's time to plan ahead for our travel adventures. 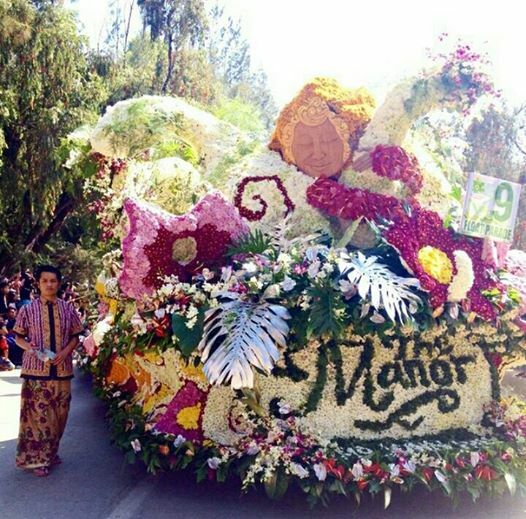 For the month of February, we celebrate the flower festival in Baguio which popularly known as Panagbenga Festival. It is celebrated every first week of February until the end of the month. Most of the time, the celebration will continue until the first week of the following month (March). Thee Hinatuan Enchanted River at Barangay Talisay, Hinatuan, Surigao del Sur is now very famous in the Philippines. Usually a river showcase a clean and clear water but this river has a shade of sapphire and jade. Another unique river which can be found in the north that features an amazing beauty, the Peñaranda River. The Peñaranda River in Minalungao National Park is different from the regular river. Just like Hinatuan Enchanted River, it has a shade of turquoise color. 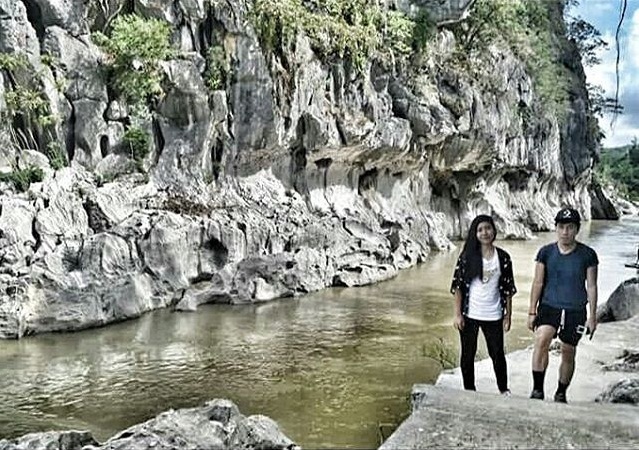 It's bordered on both sides by the amazing limestone walls in the foothills of the Sierra Madre mountain range. You can find here floating bamboo rafts for those who want to explore the area via the flowing water.